... You will learn much faster and then enjoy wave kitesurfing much sooner. ... You will not learn the wrong movements, which are later very difficult to correct and un-learn. ... Importantly, with the right posture and movements, you will look much more stylish on the water. ... People will admire you, and your wave kitesurfing photos and videos in the waves. Imagine how easily you spend USD 100 or 200 on a week-end out. 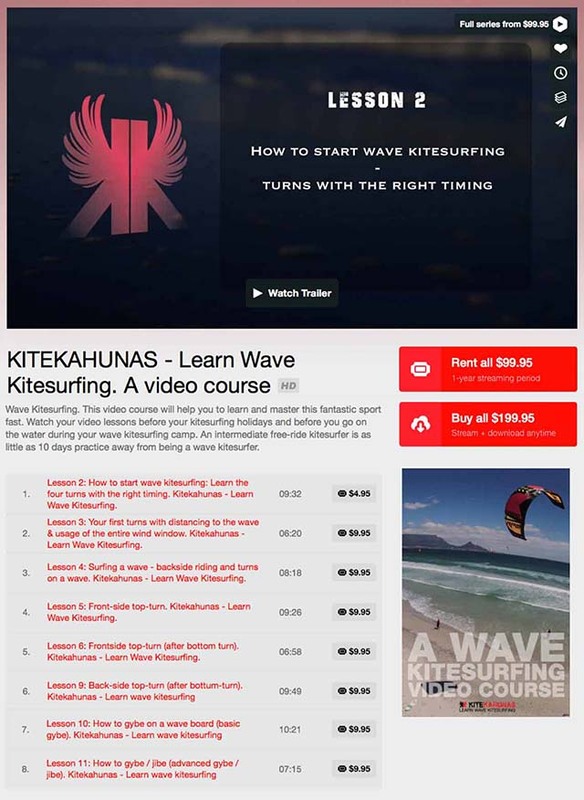 These are the best wave kitesurfing tutorial videos available, and purchasing this wave kitesurfing video course is an investment for your life-time. Please support yourself and us, so we can produce more of these videos. 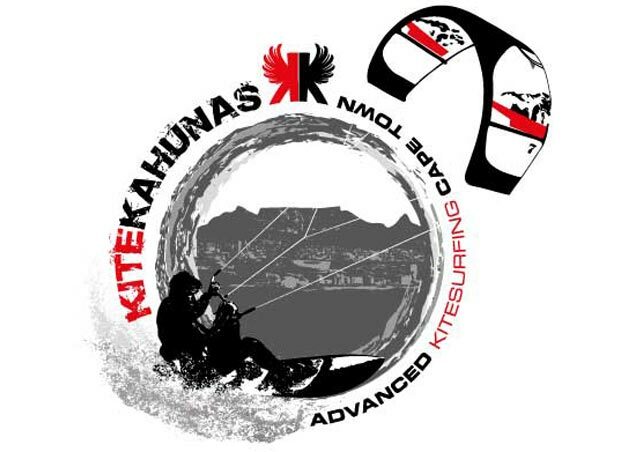 KITEKAHUNAS - Learn Wave Kitesurfing. 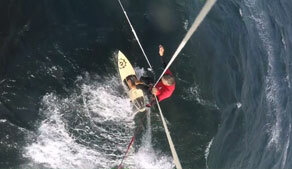 A video course from Kitekahunas on Vimeo. - Download ALL Lessons (SD, HD and mobile files) and view them conveniently during your holidays or on the beach, without the need for an internet connection. Almost all wave kitesurfing novices are intermediate or advanced kitesurfers who are coming from riding a twin-tip board. They can ride comfortably, ride upwind, ride toe-side, which is also called switch, they can do at least basic transitions or change of direction and many can perform jumps. Maybe they can even perform rotation jumps. 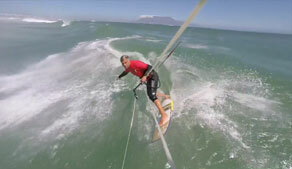 - How to start practicing wave kitesurfing on your twin-tip board at your home spot. - The four different types of turns. 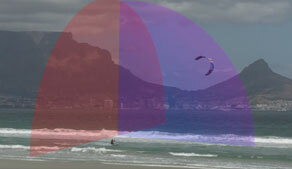 - How to fly your kite and timing between kite and your board. 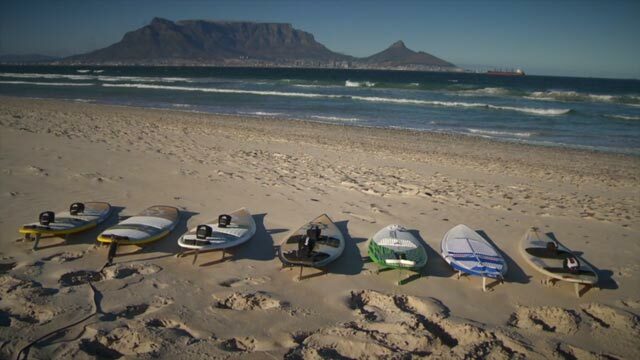 - How to start on your wave board and the specifics you need to know. - How to deal with your weak side, right from the beginning, not to regret things later. 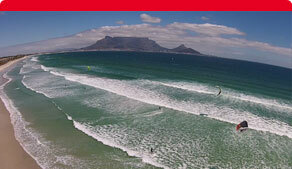 - The advantages of wave downwinders, while learning wave kitesurfing. - How to avoid to gybe / jibe. Start practicing wave kitesurfing on your twin-tip board at your home spot. You need to practice four different carving transitions. You can practice initially with your twin-tip board. 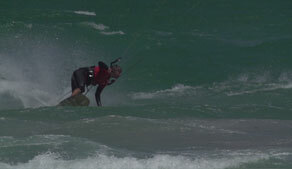 So you can prepare to get into wave kitesurfing at your home spot, even if there are no waves. To perform carving transitions, you need to move and control your kite and you need to steer your board through the turn. Timing is crucial for successful transitions. The timing to move your kite and to steer your board need to be carefully co-ordinated. This tutorial video describes in detail, how. In general, keep your kite low, during the carving transition maneuver. Don�t fly your kite over 12 o�clock, from the one side of the wind window to the other, but fly it low through the power zone. The video will show you how. When you move your kite into the other side of the wind window, really try to give your kite ONE strong pull with your back-hand. Learn how to do this and avoid common mistakes, which are described in this video. Change over to the directional wave board for wave kitesurfing. Once you have mastered the four carving transitions on your twintip board, and once you have acquired some feeling for the timing, which is elaborately described in this tutorial video, it is time to get used to the directional wave board. When you replace your twin-tip board with the directional wave board, you should be aware of various special topics and differences to how you ride your twin-tip board. Again, everything is described in this tutorial video. As the name says this is a directional board, therefore you can only ride into one direction. Because of this, changing direction will be different. Everything is explained in detail in this tutorial video. We also explain how you can learn wave kitesurfing without having to gybe / jibe, with changing of your feet on the board, which is very difficult to learn. 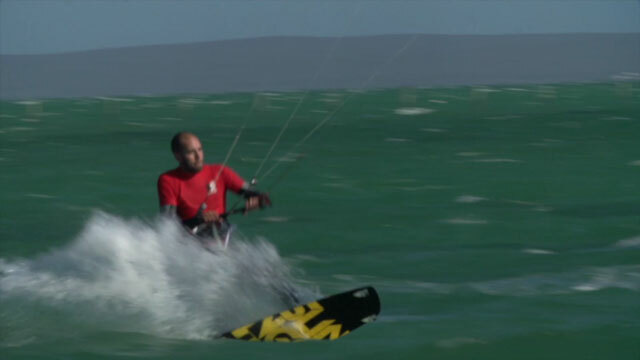 With our explanations in this video you can enjoy wave kitesurfing from the very beginning. 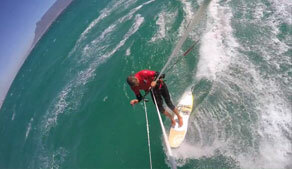 Very imporant is our guidance on your weak side in wave kitesurfing. If you start wrong, you will have big difficulties later. The tutorial video explains how and why. The tutorial video also explains that, once you get comfortable, you can add the carving transitions directly together. 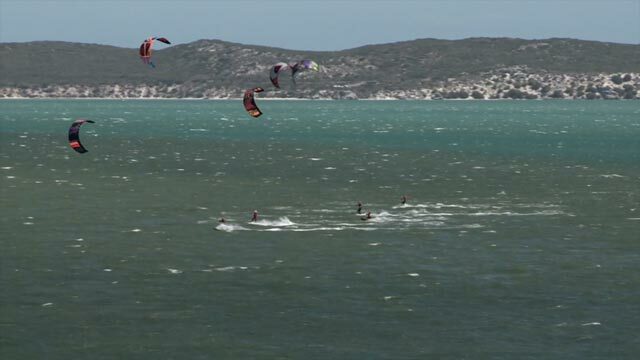 The importance of downwinders for fast learning of wave kitesurfing is a topic in this tutorial video. You will learn much faster and better. Don't forget our KITEKAHUNAS Wave Kitesurfing Camps in Cape Town (South Africa), where you can learn according to the curriculum of our tutorial videos and with video feedback. Everything, of course, on downwinders. Learn with this video and and enjoy the moment of mastering your entry into the magic and joy of wave kitesurfing!